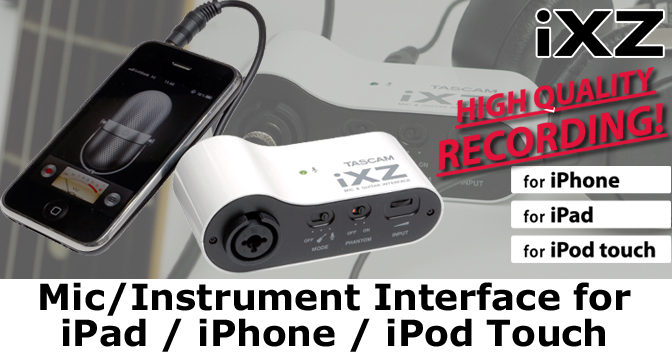 TASCAM’s pocket-sized iXZ turns your iPhone, iPad or iPod Touch into a recording studio. Plug in a microphone, guitar or bass to interact with the latest guitar amp, sampling, recording and DJ apps. The iXZ even supplies phantom power for condenser microphones. An input setting sets the gain and there’s a headphone output to monitor from your iOS device. To turn an iPhone into a portable practice, songwriting or live recording rig, it’s tough to beat the TASCAM iXZ. 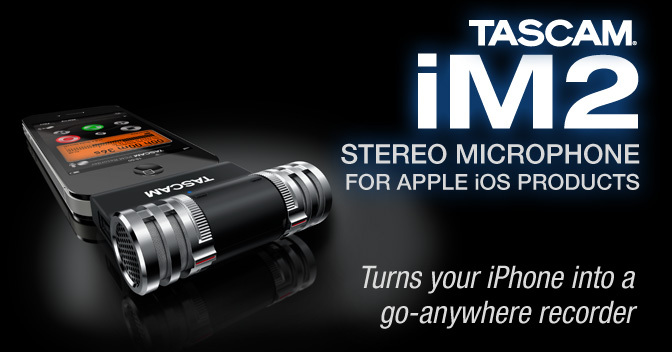 TASCAM’s iM2 turns the iPhone, iPad or iPod Touch into a high-quality stereo recorder. A pair of condenser microphones – the same high quality as TASCAM’s best-selling DR-series recorders – plugs into the dock connector of your Apple device. The microphones are adjustable over 180 degrees for the best sound placement. The uni-directional elements are arranged in an AB pattern for detailed stereo imaging while capturing the ambiance of your room. 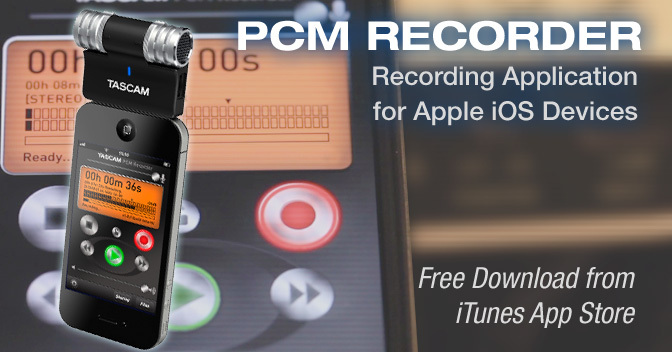 PCM Recorder is a free app from TASCAM that turns your iPhone, iPod Touch or iPad into a portable stereo recorder. Use it with the iM2 to record yourself any- where you go. PCM Recorder has input and output level faders with an “on-screen” meter to help you check levels. It includes high and low EQ and a limiter to prevent overload. Save your recordings to your computer as WAV files or share with friends and fans by uploading them to Soundcloud. PCM Recorder is a available free on the iTunes App Store.